Professional staff and exquisite views of the action make this the perfect vantage point to privately entertain in one of our corporate boxes. 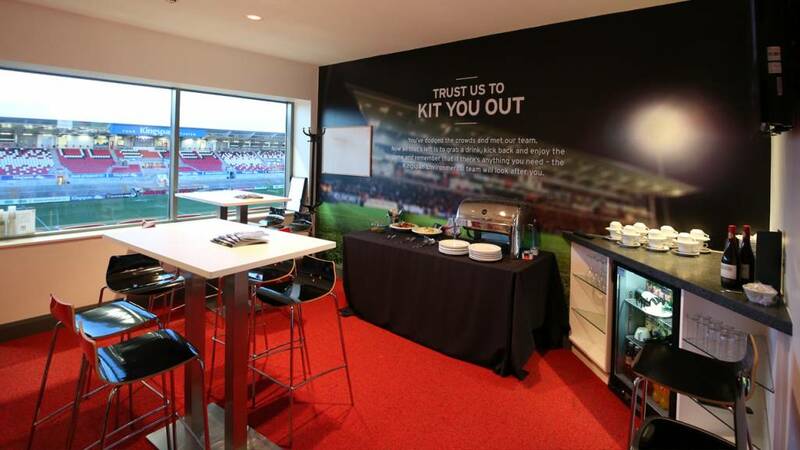 We have 20 Corporate Boxes which are situated on the upper level of the Premium Stand at Kingspan Stadium. All boxes are glass fronted, have a private bar, balcony and dining facilities making them the perfect venue for private groups or for corporate entertaining. Enjoy the flexibility of entertaining your clients, colleagues or friends in the privacy and comfort of your own Executive Box. Experience the ultimate sports hospitality package in Belfast – you and your guests will overlook the stunning new Kingspan Stadium pitch and watch the action directly from luxury balcony seats. A limited number of boxes are available each season. If you would like more information please contact Neil Hanna on 028 9049 4832 or email neil.hanna@ulsterrugby.com.